What Is the Symmetry of a Diamond? Finding the perfect diamond isn’t always easy. These precious stones are put through a rigorous grading system, in which they are ranked based on their carat size, clarity, color, dimensions and more. For many of these elements, the grading is obvious—for example, most buyers would prefer a colorless diamond to a yellow one—but there are other aspects that really get into the “nitty-gritty.” If you’re buying your first diamond, this can be overwhelming. Let’s take a look at one of these elements: Diamond Symmetry. You may have heard a jeweler talk about this, or seen it listed on a Diamond Grading Report. But how important is diamond symmetry and can you visually see it? Diamond symmetry is unique because, unlike cut, color, or clarity, it’s tough to differentiate between a diamond that has a symmetry rating of “good” versus “excellent”. As the name implies, diamond symmetry simply refers to how symmetrical a diamond’s facets and angles are. Is the culet (the pointed tip at the bottom) centered with the table (the flat part on top)? Are all the facets of equal size and shape? Do the crown and pavilion (the top and bottom sections of the diamond) line up perfectly? Gemologists look at these little details to determine the symmetry of each diamond and subsequently rank them from poor to excellent. The symmetry of your diamond may vary depending on your style and cut. 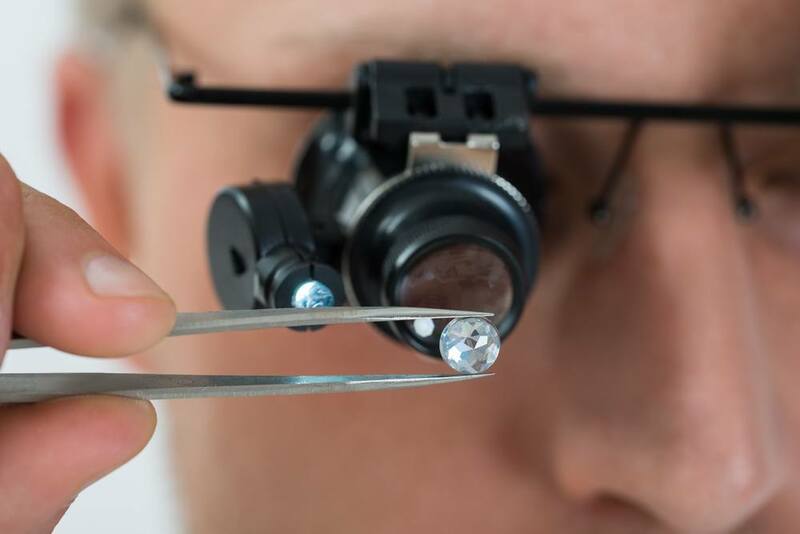 When diamond cutters cut a stone, they do their best to retain as much of a diamond’s carat (weight) as possible, while avoiding inclusions that impact its value. 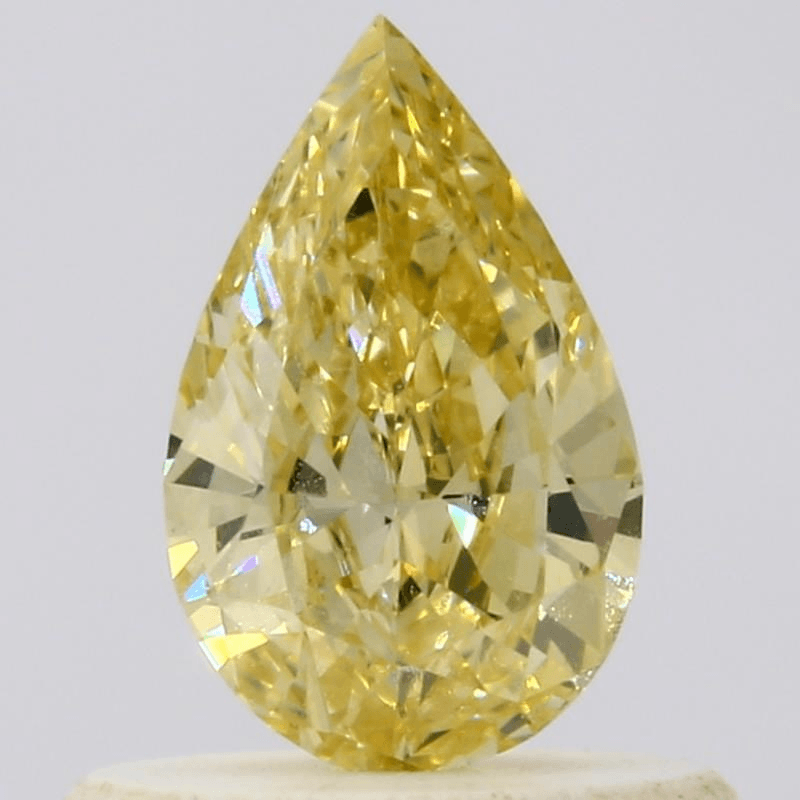 To create a radiant diamond, or any other fancy cut diamond like a pear or heart shape, cutters sometimes have to sacrifice a stone’s symmetry. If a diamond is asymmetrical (i.e., if it is ranked as “fair” or “poor”) you can tell. Light reflects off the angles in a diamond, and an asymmetrical cut can lead to minimal fire or dark spots within the stone. In extreme cases, the stone may not even meet the criteria for the basic diamond shape—for example, you may see a round diamond that looks more like an oval! In most cases, however, the quality of the diamond cut will also dictate its symmetry. This is why many diamond buyers stick to stones with a “Very Good” or “Excellent” symmetry rating. The criteria outlined in the AGS and GIA grading systems are a great rubric for finding a stone that meets your requirements. 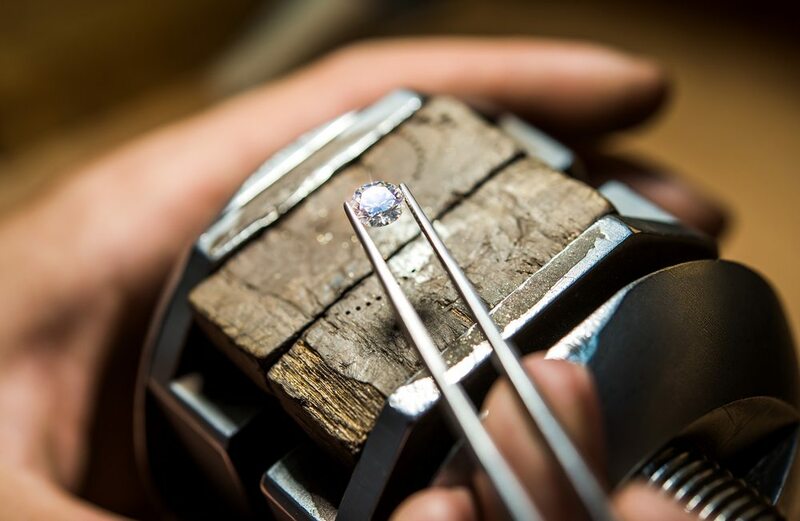 Every aspect or characteristic that is part of the diamond grading process will have an impact on its value. While Symmetry does not have the impact of Color or Clarity for example, diamonds with a “Fair” or “Poor” symmetry can be significantly less valuable. In addition, the impact Symmetry can have on the price of a diamond can vary based on shape, with the largest visual and financial impact both affecting the Round shape.